The preliminary round of the competition started with 20 schools on 22 September. All eleven winners and five additional schools, based on scores, qualified for round two. At the start of the season, Collin Cover, GRENLEC’s General Manager urged debaters to maximise the opportunity to sharpen skills that will serve them throughout their lives. He also acknowledged that the process of inquiry fostered by debating allows for a balanced approach to developing the best solutions. Members of the teaching fraternity have lauded the debating competition for promoting constructive discussion of important issues affecting our nation. The themes for this year’s competition are: International Relations; Constitutional Reform and Public Life; Economics; Sport and Energy. The GRENLEC Debates originated with a competition developed by the Media Workers Association (MWAG). 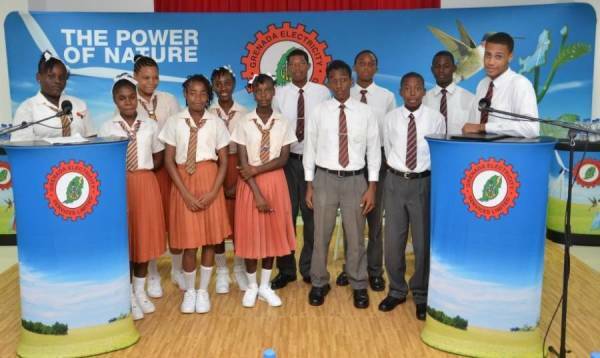 In 2008, the initiative was revived by GRENLEC and Corporate Communications Manager, Prudence Greenidge, says the GRENLEC Debates is a truly national project and thanked the judges, educators, students, the media and the general public for their ongoing partnership. The 2014 season of the GRENLEC Debates will culminate on 18 November.